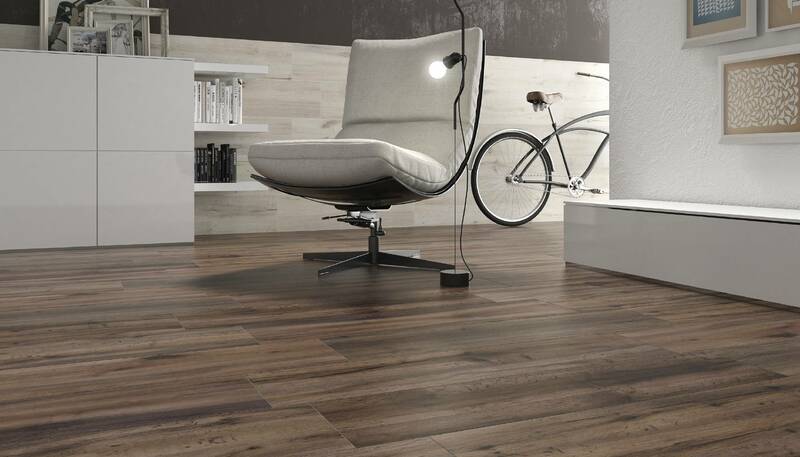 Porcelain tiles and the warmth of wood come togetherin a unique material capable of transforming any room. 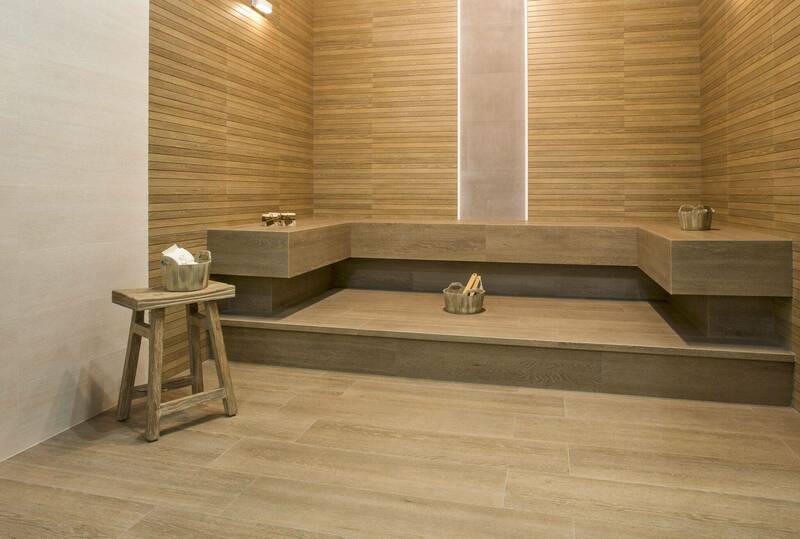 They may look like wood, but they are actually porcelain tiles. 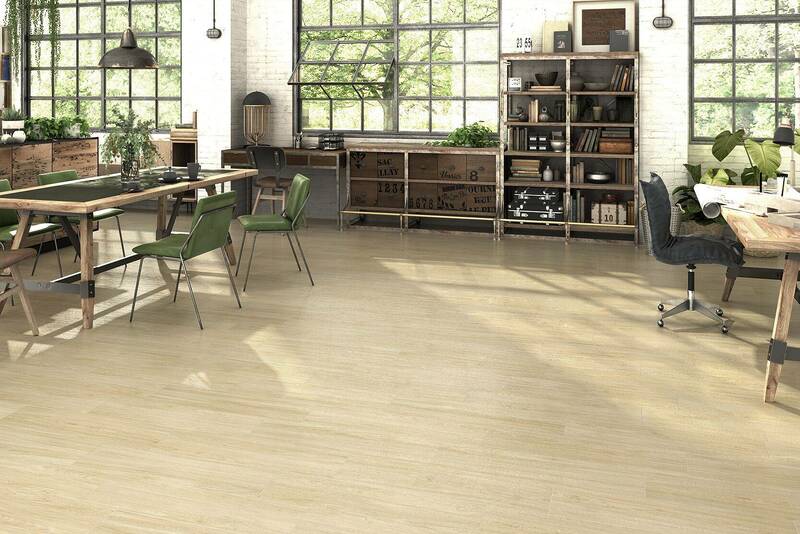 The design department at Keraben Grupo has selected a range of woods, studying their essence and beauty and applying them to their porcelain tile designs. 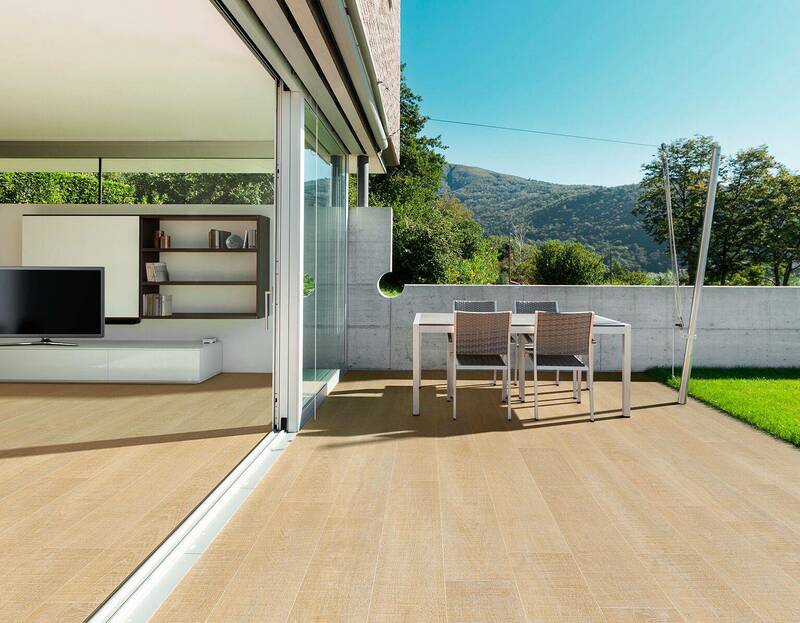 The result is a material that combines all the warmth and comfort associated with wood with the technical features and outstanding quality of our porcelain tiles, renowned for their resistance to everyday wear and tear. The porosity of wood means that it is not easy to clean (as discussed earlier in this post), nor is it particularly renowned for its durability as it is sensitive to changes in temperature. However, on the positive side, it is extremely attractive and has the ability of creating soothing sensations of calm in any space. In turn, porcelain tiles boast several technical advantages, including resistance to the effect of the sun and low porosity levels, essential for wet zones. As a result, wood effect porcelain tiles are the perfect combination, providing durability, easy cleaning and delightful settings. We have compiled a selection of our wood-effect porcelain tile collections, all guaranteed to lend a sense of comfort and distinctive style to any space, inspired by the natural beauty that characterises this material. Blanco, Crema, Roble, Tortora, Castaño and Century. Six colours created for a reason: to add a sense of contemporary elegance to spaces, with a stylishly simple twist. The porcelain tiles included in the Ardennes by Keraben collection feature a wood effect finish that subtly evokes the knots of natural wood. The absence of any excessive surface roughness makes them ideal for creating a sense of spaciousness and covering walls and floors, creating a rounded and unifying appearance. The Keraben brand’s Portobello collection converts the hallmarks of wood into a finish that transmits character, beauty and timelessness. Oak, walnut and ash are the botanical elements that inspired Keraben’s designers when creating these pieces that bring out the beauty of the graining and variations of treated wood. Tiles with character that reflect the sturdiness and discernment of our forests. Are porcelain tiles capable of transmitting the colours, ambience and sensations that the onset of autumn produce? Of course they are. Autumn by CasaInfinita is the collection that calls to mind the sensation of renewal and change generated by the change of season. New projects, hopes and the thrill of transforming spaces into emotions. Emotions that can be sensed through the use of colours such as the copper, golden and amber tones that are an essential part of autumn. Woodtime by Metropol, is a wood effect collection with a contemporary air designed to revamp spaces, adding a contemporary touch. The knots, graining, marks and variations of wood are all featured at just the right depth, creating subtle surfaces with the perfect degree of relief. Realistically reflecting the material that inspired it, this collection is available in a varied range of five colours.